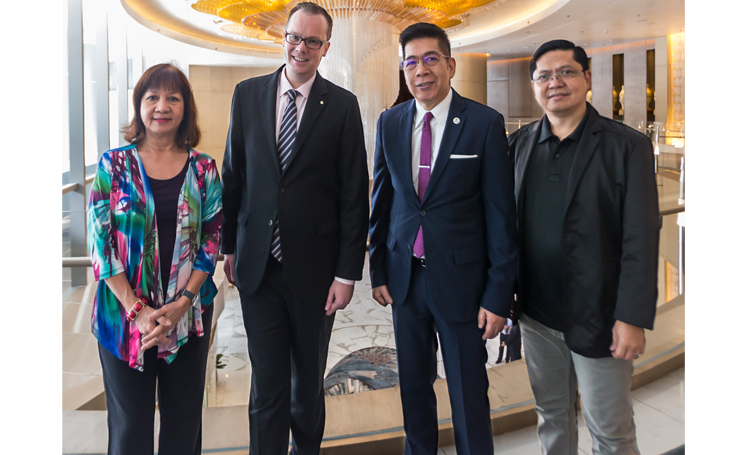 Officers of the Philippine Council of Associations and Association Executives (PCAAE), the country’s “association of associations”, visited the Shangri-La at the Fort on October 3, 2017 and met with Matthias Emperhoff, Shangri-La at the Fort Director of Convention Sales, to personally thank and welcome the luxury 5-star hotel as one of the supporting organizations of the 5th Associations Summit (AS5) to be held on November 22-23, 2017 at the Philippine International Convention Center (PICC). The AS5 is PCAAE’s premier gathering of associations and association professionals in the country. This year’s theme “Stronger Together,” highlights the work and advocacies of associations in nation-building as well as features learning sessions on association governance and management. The event will also be an occasion to recognize the associations and other member-serving organizations’ outstanding people and programs via the ‘Ang Susi’ Awards 2017. Also supporting the event, among others, are the three PCAAE founding institutions, the Tourism Promotions Board Philippines (TPB), the PICC, the Association of Development Financing Institutions in Asia and the Pacific (ADFIAP), the umbrella organization of development financing institutions in the region.